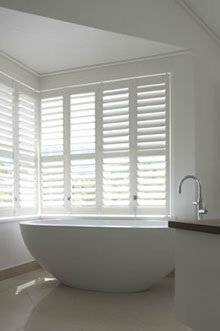 Shuttercraft is the franchise arm of S:Craft, one of the UK’s largest distributors of premium window shutters. 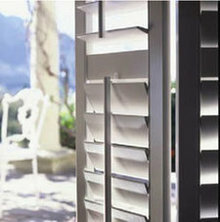 With the most extensive range in today's market, all Shuttercraft shutters are made-to-measure and designed to ensure customers can create the look they've always wanted – contemporary or traditional. Our extensive market experience is gained through many years of best practice distributing and retailing within the wooden plantation shutter and blind industry. 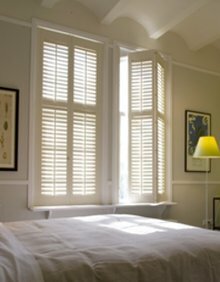 Our team is made up of some of the UK's best window shutter and venetian blind surveyors, fitters and trainers who will provide you with the confidence and competence to deliver the best solutions and products to meet your customers' highest expectations. As a Shuttercraft franchisee, you can build a highly profitable management franchise in a rapidly expanding market. Your role is to effectively manage the business on a day-to-day basis. This includes - sales promotion and business development, quoting for new work, surveying and having your team install the Shuttercraft product range. You are the Brand Ambassador in your area and as such represent the values of the entire franchise network. Our experience, systems and multi-level training will help fast-track your growth and help you avoid common challenges and pitfalls along the road to success. The premium nature of our products means you will be involved in a high-margin business that delivers excellent returns. Shuttercraft is led by a highly-experienced management team that is dedicated to helping you achieve success in your franchise journey. Clear lines of communication, ongoing training and team approach to growth are hallmarks of the Shuttercraft franchise. Our initial and ongoing training, both from a technical and business point of view, is excellent. We will train you in all aspects of the business and provide you with a continual program of training and mentoring throughout your time with Shuttercraft. Our multi-level training and support comprises of a combination of formal training, direct training (led by regional account managers) and live virtual training. Being a Shuttercraft franchisee means you are part of an exceptional organisation that is focused on helping you achieve your financial and lifestyle goals. We partner with individuals who have the interest, ability and drive to build a million-pound business in a niche, but high-growth market. Our selection process is designed to ensure that our franchise partners can maintain the high standards set by our current franchisees. Unlike many franchises, we are not primarily franchise sales driven. Rather, we focus on the quality of our partners and in doing so, we ensure the success and longevity of our business and brand reputation. The initial franchise fee is £25,000 + VAT and you will require working capital which is defined by your business plan. We have established relationships with banking partners who can be called on if required. By filling in the form below you will be able to receive a copy of the Shuttercraft prospectus.